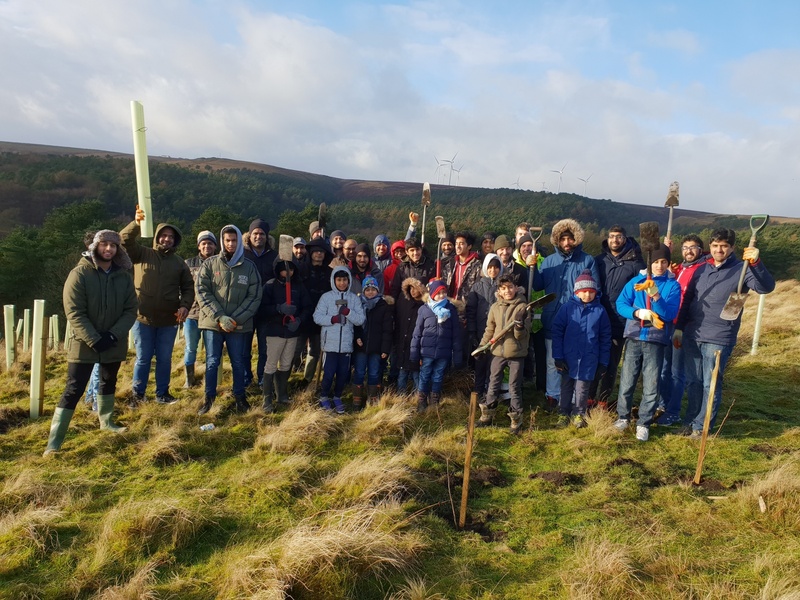 Members of Keighley Ahmadiyya Muslim Youth Association (AMYA) helped plant at least 300 trees at Ogden Water, near Halifax. They joined other association colleagues from across the region on December 8 and worked alongside volunteers from the Bradford Environmental Action Trust (BEAT). BEAT co-ordinator Ian Butterfield said: “We saw one of the largest tree planting schemes of the year started at Ogden Water. “Thanks go to AMYA who helped kick off the project, planting over 300 trees on a blustery, wet day. Keighley Ahmadiyya Muslims planted a variety of trees, including oak, birch, and rowan. Their efforts formed part of Ahmadiyya Muslim Youth Association’s overall mission to foster an atmosphere of service to humanity and the environment. Dr Adeem Rubani, youth leader of AMYA Keighley, said: “We want to serve humankind at every given opportunity and that’s why we’ve again done our bit to plant a large number of trees.